It is possible to enable/disable alarms using EtherNet/IP’s Pass Through Object (page 60 of Object Model Library), however we suggest you to configure the alarms using FLIR IR Monitor prior to enabling/disabling them. The A310/AX8 alarm resources are explained in the Basic ICD, starting on page 71. In order to enable or disable a given alarm the following Boolean registers should be changed. These registers are accessible via Pass Through Object (EtherNet/IP). Important: The resource string (i.e. “.resmon.items.1.active”) carries the Alarm number (1), but since the register is an string value the “alarm number” should be also treated as an string, that is why “1” is converted from ASCII to “31” in HEX. You may use the following website to convert the data value from ASCII or Decimal to Hexadecimal. I like to add several areas to measure the temperature. How many areas can I define using the camera built-in software? A20, A40 and AX8 are set up using buttons on the camera or the Web interface. To set up the A320 or A310, use the IR Monitor utility. The tables below estimate how much bandwidth the FLIR A615/A655sc and FLIR A35/A65 cameras use for different frame rates and resolutions. All models provide standard video (PAL or NTSC formats) on BNC connector. For details, see table below. I have lost the IP address to my GenICam camera. How can I assign a correct IP address to the camera if I can't find it with any software? This may be a problem if, for example, you have accidently assigned your camera a persistent IP address that is out of reach of your computer. If you do not have a persistent IP address, just restart the camera: it will go back to DHCP, and you can find it with, for example, the FLIR IP Config utility. If you do have a persistent IP address assigned to the camera and you cannot find it (e.g., you accidently assigned the camera an IP address of 0.168.254.25, and it is now impossible to get access to the camera), there is a utility that can help—it requires only that the camera is connected to your computer and that you have the MAC address of the camera. Download the attached .zip file and extract the .exe file to the desired location, then run the program and enter your camera MAC address. You will then be asked to enter a new IP address and a new subnet mask. Make sure that you enter a valid IP address so that you can find the camera with FLIR IP Config later. I have a problem to stream images or communicate with my camera. What is the troubleshooting procedure? 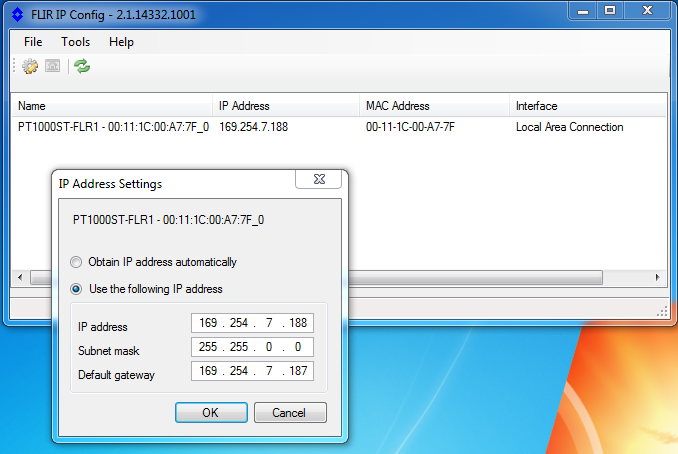 The camera IP address can be found using FLIR IPConfig tool which can be downloaded here. Put the camera and the client on the same IP network. This measure is taken to make sure there are no routing issues. Consult someone with IP knowledge if needed. The basic idea is that the camera has, e.g., address 192.168.0.10/24 and the client 192.168.0.20/24. The /24 notation means that it is a class C network where the first three groups are fixed. Connect point-to-point with the camera. If both the network adapter and the camera are configured to automatically obtain an IP address then you can simply connect directly to the camera using an Ethernet cable. Please note that it can take up to 1–2 minutes before each side has obtained an automatic IP address. The IP addresses will be in the series 169.254.x.x. 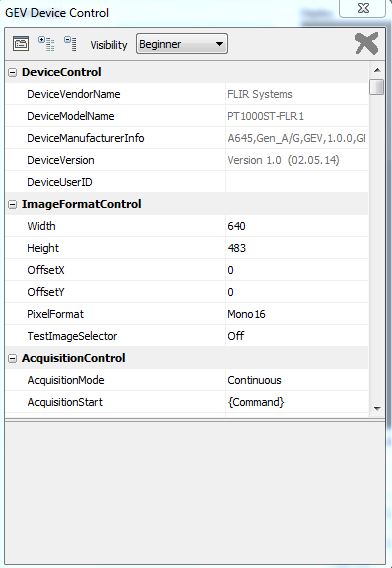 The camera IP configuration can be changed or checked using FLIR IPConfig tool. Make sure the camera gets the correct voltage and power. If you suspect glitches or peaks, test the camera in a controlled environment. If you suspect complex and strong electromagnetic fields test the camera in a controlled office environment. Ping the camera from the command line interface on the client. Ping with 300 packets (use the –n flag) and check that no packets are lost and that the delay (RTT) has only minor variations. RTT should be maximum 10–20 ms in a small network. Use managed switches so you can check link speed and lost packets on the camera and client ports. Be careful with WiFi connections and video streams. WiFi can work fine but it might introduce high PER (Packet Error Rate) as well as delay and jitter. Check for symptoms of lost packets (See Answer 975). Use a monitoring (sometimes called mirrored or SPAN) port on the Ethernetswitch. Use the software Wireshark to check the RTP stream between the camera and the client. Record for a couple of minutes and use the RTP tools that are built in. Please note that mirrored ports are not available on all switches. You need a managed switch for this functionality. Important: In order to use Digital Output you must supply power to pins 5 and 6, the camera will not supply voltage to the Digital Output when powered by its main power input or PoE. Some applications may require the camera to be used as a dry contact; in such case an auxiliary relay should be used, the Relay NO connector will be the dry contact. You can make the camera trigger an alarm when certain conditions are met. An alarm can be triggered by several different sources, such as a measurement result in the image, a digital input, or an internal temperature sensor. When an alarm is triggered, the camera can perform one or more tasks, e.g., save an image to memory, e-mail the image to predefined recipients, and send the image to an FTP site. The camera can also further trigger a variety of external devices, using the digital outputs. In order to configure an alarm you may use the FLIR IR Monitor application, available for download in the http://flir.custhelp.com website. This application is free and does not require any user license. It is possible to configure alarms based on the temperature measurement results from the spot, box, and delta measurement tools. An alarm can also be configured for the internal temperature sensor, which can act as a thermometer for the ambient temperature. In the right pane, click the Alarms Select an Alarm and double-click it. This displays a section where you can configure the alarm parameters and actions. Click the Measurement Alarm tab. In the very bottom (left), check the option Activate Alarm to activate it. In the Function list box, select the analysis tool that you want to use to trigger the alarm. The analysis tool must be one previously created. Match: Triggers an alarm when the temperature matches the threshold value. Above: Triggers an alarm when the temperature is above the threshold value. Below: Triggers an alarm when the temperature is below the threshold value. In the Value text box, enter the threshold temperature value to be used as the trigger limit. In the Threshold time text box, enter the duration that must be matched or exceeded in order for the alarm to be triggered. The duration specifies the amount of time that has to pass before an alarm is triggered. This can be used as a powerful tool to avoid false alarms. In the Hysteresis text box, enter the hysteresis value. Hysteresis is the interval within which the temperature value is allowed to vary without causing a change in the trigger. If the threshold is set above 30.0°C and the hysteresis is set at 2.0°C, the trigger goes high when the temperature rises above 30.0°C and stays high until the temperature drops below 28.0°C. In contrast, if the threshold is set below 30.0°C, and the same hysteresis value is kept, the trigger goes high if the temperature drops below 30.0°C and stays high until the temperature rises above 32.0°C. Beep: Sets off an audio signal when an alarm is triggered. Flash: Displays a visible signal when an alarm is triggered. Disable NUC: Disables the automatic non-uniformity correction (NUC) when an alarm is triggered. Store image: Saves the image frame that triggered the alarm. In the out list box, select which Digital Output (None, 1 or 2) should send a digital pulse when the alarm is triggered. If you have selected the alarm action out, enter the pulse length (in milliseconds) in the Pulse time text box. 0 = no pulse, constant high signal level on alarm. In the Mark Image list box, select which tag should be inserted in the image stream. The choices are Start, Stop, and Tag. It is possible to set an alarm based on the digital input. In the right pane, click the Alarms Select an Alarm and double-click it. This displays a section where you can configure the alarm parameters and actions. Click the Digital Input Alarm tab. When selected, the camera is set to react to a high digital-in signal. 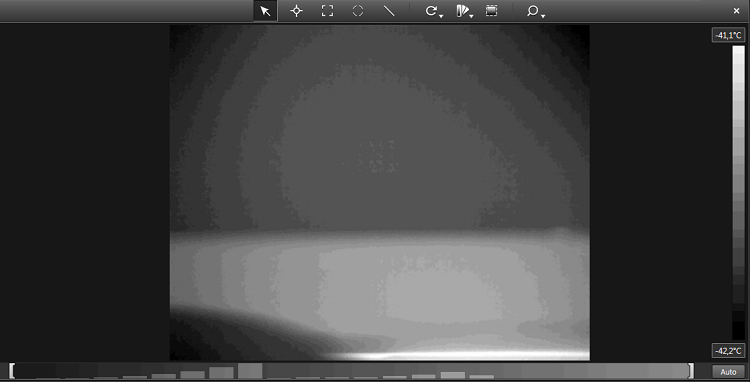 When cleared, the camera is set to react to a low digital-in signal. In the Input box list, select the digital input associated to the alarm, 1 or 2. The FLIR A310 does not support setting the Digital Output to Normally Closed, so in order to have an alarm in case the camera fails it is needed to work with reverse alarm logic. Please see “Setting an alarm based on a measurement result” section to configure the alarm on the camera. A fire detection example will be used to illustrate the application. Usually, to set an early fire alarm, the max temperature of a measurement box is select to set the alarm, the Condition is set to Above and the Threshold is set to an elevated temperature, such as 100°C (212°F). With this configuration, if the max temperature of a given measurement box trespasses the Threshold (100°C/212°F) the camera Digital Output will be set to active. Using the straight logic, if the camera fails there is no way to detect such failure by the Digital Output status, which will be active only if there is an active alarm condition. Using the reverse logic, the Digital Output status will be active during normal camera operation and will be deactivated when an alarm condition is presented. The reverse logic combined with an auxiliary relay (when NC is used) will give a high signal when there is an alarm, when camera fails or when DO cable is disrupted. Please see “Using the camera as a dry contact” as reference. A measurement mask is a manually created free-form area within a fixed measurement area that can be used when working with alarms. For example, if you create a rectangular area but only want an alarm to trigger if conditions are met in a smaller, irregularly shaped area inside the rectangular area, use a measurement mask to achieve this. Click the Analysis tab and select the Use Measurement Mask check box. Click Measurement Mask… . This will display the Measurement Mask dialog box. In the Measurement Mask dialog box, select a Pen Size (in pixels) and use the cursor to paint a free-form area within the measurement area (box) that you previously created. 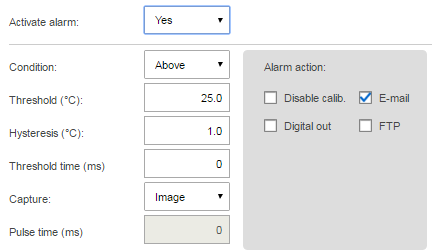 To leave the dialog box and apply the mask to the selected camera, click OK.
Once the Use Measurement Mask is selected the only valid area for the alarm will be the masked inside the measurement area (box). So even if there is an alarm condition inside the measurement box, it will not activate the alarm if the condition is not inside the masked area. The following pictures exemplify the use of a measurement mask inside a measurement area. In order to send the commands to the camera, first you have to Telnet into it. * Telnet is disabled by standard on Windows, so you have to enable it. Google “how to enable telnet windows” to follow the instructions, it is pretty straight forward. Telnet to the camera IP Address. The A310/A320 is delivered with a PC utility IRMonitor that provides NUC control. If a Camera is connected to our Researcher or ResearchIR software, there is a NUC control from this software. For more details, please refer to the operator’s manual. What is the Nexus server and how do I turn it off on my FLIR A310? The Nexus server is a software in FLIR A310 cameras that should be deactivated and only used when the camera is placed in a pan-tilt construction or sold as a FLIR A310f camera. If the Nexus server is activated on an ordinary FLIR A310 camera, it can behave strange and not save settings between reboots. This can be fixed by deactivating the Nexus server. This is done through the web interface of the camera. I have problems with Ethernet connection to my A320 camera. The camera is not found on the network. There may be several reasons to why the network connection does not work. To help you troubleshooting, please try one or more of the following. It can be one of these or a combination so they are not rated in any way. Firewall: Make sure it is turned off when you troubleshoot. Wireless: Make sure your wireless adapter is switched off. If not, the search for the camera might only look for a wireless connection. Multiple network adapters: Please turn off the network adapters that are NOT connected to the camera. Power: For troubleshooting purposes please power both the camera and the computer using a mains adapter. Some laptops turn off the network card to save power at battery operation. The native frame rate of the FLIR A615/A655 is 50 Hz and the vertical sync output is also 50 Hz. If a lower frame rate is requested, the vertical sync frequency will remain at 50 Hz. However, if windowing is used, i.e., with frame rates of 100 and 200 Hz, the vertical sync frequency will also be 100 and 200 Hz, respectively. Can I synchronize the FLIR A315/A615 frame rate using an input signal? No, these cameras cannot be synchronized externally, so it is not possible to use an external device to send a signal to the camera to start capturing images. However, the FPA generates a pulse for every new frame, and the digital output can be used to read this pulse. This means that you can use the camera as your main sync source, sending the signal to other devices. The pulse duration is around 200 µs, and the voltage level will be equal to the voltage applied to the digital output power pins (allowed range: 6–30 V DC). Power the digital I/O interface. Connect the readout to the digital output. If you do not have the proper tools to handle the GenICam registers, follow the steps below using the Pleora eBus Player. Note: The FLIR GEV Demo does not allow you to change the CurrentPort register—do not use it. Select the digital output by changing the CurrentPort register to 2 (DO 1) or 3 (DO 2). Change the CurrentIOConfig from General Purpose (0) to Vertical Sync (1). For voltage at digital outputs DO1 and DO2, it is necessary to apply voltage to the digital output power pins (pins 5 and 6). The following illustration and table describe the pin out configuration of the FLIR A315 and A615 cameras. I/O –: digital input/output power and signal (–). negative (–) to pin 6.
signal (–) to pin 6, the same pin as used for power (–). The signal output frequency is equal to the frame rate of the FPA. That being said, reducing the frame rate of the video stream will not affect the signal output, since the lower frame rate is handled by the Ethernet interface of the camera and not the FPA. The signal output is 60 Hz, but when the camera frame rate is reduced to 30 Hz, the signal will still be 60 Hz. When using a FLIR A615 camera as the default device, the signal frequency will be 50 Hz, but this changes when using the windowing function at 100 and 200 Hz. How do I get to the Images on the A320 that has been stored in the Camera on Alarm? 2. Type ftp://CameraIP/FlashFS/Images, where CameraIP is your camera’s IP number on the network. This should bring you to the directory where the images are saved. You now can copy or delete images in this directory. If you are familiar with ftp software then you can use this instead of IE. The FLIR A3xx cameras have a built-in FTP server (based on Windows CE) that can communicate with any FTP client application. When you connect to the camera, you decide if you want to connect with passive FTP or active FTP. When choosing whether to use passive or active mode, it is often a question of which ports you need to open/forward in your firewall. Therefore it is important to understand the different modes. Depending on where you place your firewall (if you have one), you need to be aware of which ports are used by the FTP service. In the image below, the client is using passive mode FTP. This means that the client connects to the server (camera) on a random port to the server port 21. The server will respond from port 21 to the client’s random port, and acknowledge the connection. This is the command dialogue, which will also contain the user’s authorization. After this, the data transfer will take place on a random port from the client and a random port on the server. The random port on the client side is one port above the random client command port. For example, if the client connects from the random port 12345 to the server port 21, the random data transfer client port will be 12346. In the image below, the client is now using active mode FTP. It is similar to passive mode but the data transfer will now be via a fixed port on the server side. The random port 1 on the client side will be one number below random port 2 on the client side. The server will use port 20 for the data transfer. Attached are two Wireshark capture files, one where an active FTP session has been established, and one where a passive FTP session has been established. These traces can be useful for understanding the procedures. Returning to the original question, “Is it safe or not to use passive mode?”, this is something you will have to decide in relation to your application. FLIR will be happy to provide as much technical detail as possible, but you will have to make the safety decision yourself. If the optical path between my IR camera and the measured object contains, for example, an IR window, the camera needs to compensate for this. How do I do that? To compensate for the thermal radiation loss that an IR window will cause, you need to enter the transmission value of this window into the camera. The GenICam registers “ExtOpticsTransmission” and “ExtOpticsTemperature” need to be updated in the camera. These can be found under the GenICam header “ObjectParameters.” The GenICam register “EstimatedTransmission” needs to use the calculated value—if you set it to something other than 0, the camera will not use the calculated transmission value. When you turn on the camera the next time, you can’t connect via Ethernet, because the camera has saved its last used IP address, which is 0.0.0.0 (since the Ethernet cable was disconnected). As a work-around, an Ethernet hub or switch can be connected to the camera. The hub or switch shall be turned on as long as the camera is turned on. The camera will then treat Ethernet as connected, and keep its IP settings, even after a power outage. This work-around can be used as a temporary solution (until the solution is available in the camera software), or as a long-term solution for customers who can’t update camera software. Kuinka säädän verkkoasetukseni, jotta pääsen kirjautumaan paikallisverkon ulkopuolelta AX8 lämpökameraan? Aliverkko 192.168.254.x on paikallinen osoite ja ei näy paikallisverkon ulkopuolelle. 81.70.110.243 Osoite on julkinen ja näkyy paikallisverkon ulkopuolella. Jokainen reitittimeen liitetty tehtävää suorittava laite on tunnistettavissa internetissä IP osoitteella 81.70.110.243 . Jos lähetät sähköpostin tietokoneella missä on paikallinen IP osoite 192.168.254.100, vastaanottaja näkee sen niin, että sähköposti tuli IP osoitteesta 81.70.110.243 . Alla olevat konfigurointi asetukset ovat identtisiä kaikilla reititin merkeillä, mutta pieniä eroavaisuuksia saattaa olla, lähinnä käyttäjän käyttöliittymässä. Mutta kuitenkin perus perjaate pysyy samana. should theoretically work, but have not been fully tested. • Microsoft Internet Explorer 11 and later. • Mozilla Firefox 30 and later. The lamp of the AX8 can be turned on and off through EtherNet/IP using a Pass Through Object. The variable that controls the Lamp is .system.vcam.torch, which converted from ASCII to Hex is 2e 73 79 73 74 65 6d 2e 76 63 61 6d 2e 74 6f 72 63 68. The variable length is 18 characters (Decimal), which converted to Hex is 12. Lastly, a Boolean must be supplied and 01 represents True and 00 represents False. The following website to convert the data from ASCII or Decimal to Hexadecimal. AX8 internal temperature over or close to 50°C, is my camera overheating? 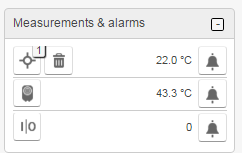 The internal temperature of my AX8 is over 50°C (122°F), but the Datasheet states the maximum operating temperature is 50°C (122°F), is my camera overheating? From the AX8 datasheet it is possible to confirm that its Operating Temperature Range is from 0°C to +50°C (+32°F to +122°F). However one should not relate this information with the Internal Temperature Sensor displayed in the camera webserver, which has different limits. One should make sure the camera is installed in an environment where the ambient temperature does not reach 50°C (122°F). The camera was designed for this type of environment and certainly its internal temperature will be higher than the ambient temperature. The Internal Temperature limits of the camera are not disclosed by FLIR. FLIR also recommends the use of the cooling bracket to help dissipate the camera internal heat. When I have too many measurement functions (boxes and spots), I cannot see them all in the RTSP stream. Can I solve this? If you configure your FLIR AX8 using too many measurement functions, there is a risk that you will not have enough space to display all of them in the RTSP stream. The RTSP stream is shown in the image below, and it is evident that there are two measurement areas/boxes that are not visible because there is insufficient room for them. This can be partially solved by hiding some of the information in the boxes. To do this, enter a box, as in the image below, and then change what you want to show (indicated in yellow). You could, for example, hide “Measure box max” from each area, thus making space to display other information in the boxes. However, if information is hidden, the alarms associated with them will be inactivated, and will need to be reactivated for them to work. 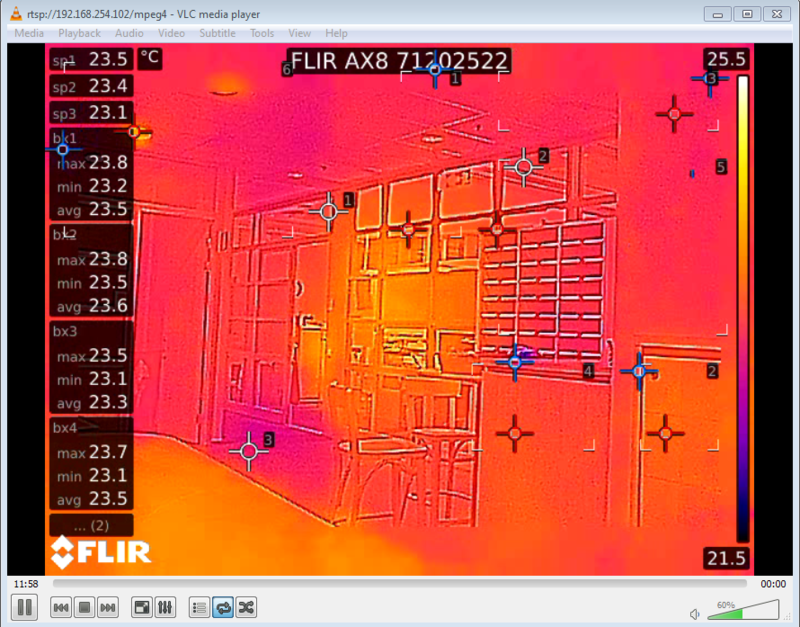 The FLIR AX8 internal memory can store simultaneously 1 video and 30 images (approximately). If the memory is full, the oldest files are overwritten. Is it possible to view the radiometric stream of the FLIR AX8? The image stream from the FLIR AX8 is not radiometric and thus contain no temperature data in the pixel values. However, the images saved by alarms are radiometric and can be used for postprocessing. It is also possible to access the measurement values via Modbus TCP or Ethernet IP. How do I configure my FLIR AX8 to send an e-mail every time an alarm goes off? There are some limitations to the FLIR AX8 e-mail feature: for example, the e-mail server has to be on the same subnet as the camera is located on. This could be problematic for some companies and might require assistance from the IT department. The first thing to do is create an alarm based on a measurement function in the FLIR AX8. To do this, log in to the camera with the admin credentials, and add a spot for example. Then create an alarm by pressing the bell located to the right of the spot, as in the image below. Then, configure the alarm similarly to the image below. It is important to check the e-mail box. We now need to configure the e-mail server. Your IT department should be able to assist with this, or you could set up an e-mail server yourself. Free e-mail server software is available: for example, hMailServer—download the latest version from here and install it on the computer that will act as a server. Note: The computer used as the server must be running for the FLIR AX8 e-mail feature to work. A short guide on how to set up your e-mail server can be found here. 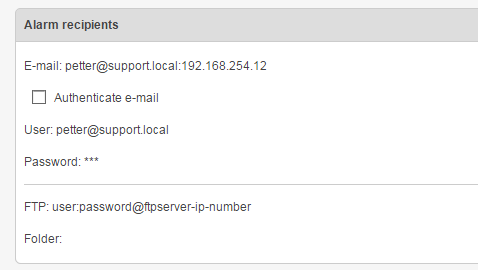 Note that this set-up is for a local server only, i.e., e-mails can only be sent and received locally. Once the e-mail server has been set up, a user who wants to receive e-mails must have an e-mail client. Free e-mail clients are available such as Opera Mail, which can be downloaded from here. Other e-mail clients can be found here. When configuring the e-mail client, the IP address of the e-mail server will the same as the IP address of the computer running the e-mail server. To configure the FLIR AX8 to send an e-mail to an e-mail address in your hMailServer, go to the FLIR AX8 web interface and enter the Settings tab, scroll down to Alarm recipients, then enter your e-mail server settings. In the image above, my e-mail server has the IP address 192.168.254.12, and my e-mail address is petter@support.local. Everything should now be set up, and once the alarm goes off, an e-mail will be sent to the recipient configured in the web interface. The e-mail sent when an alarm is raised should resemble that below. If everything has been configured as in this guide, e-mails will not be accessable from outside the local network. To allow the e-mail server access to the internet, further configuration is needed and a domain name needs to be bought/provided. Read more at the hMailServer web site. To decrease the load on the network, it is possible to tell the camera to skip a certain amount of frames. This is achieved my changing the value of a GeniCam register. 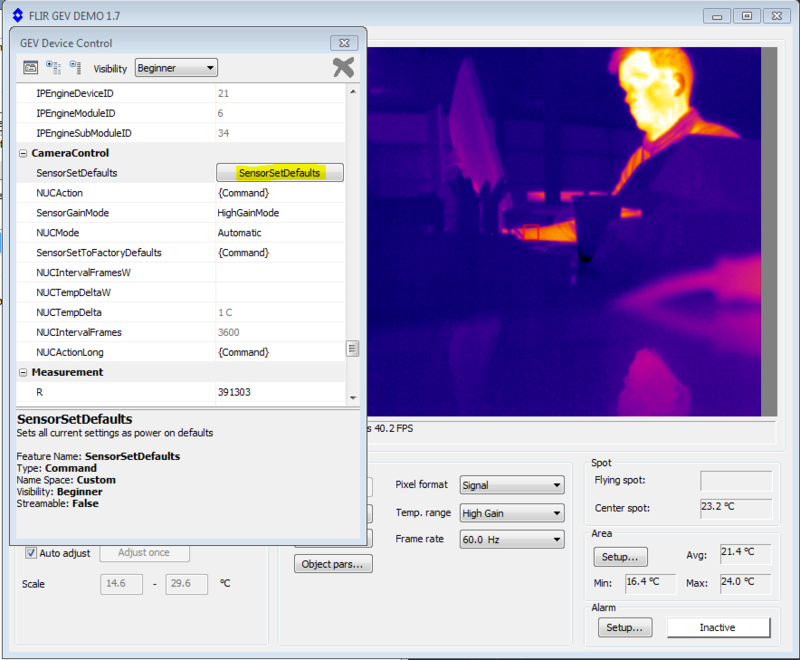 The software FLIR GEV Demo can be used to manipulate GenICam registers and is available for free here. Start GEVPlayer and select your device. Image below showing where to find the register to modify. You can change this value. 0 is default and this means that all the frames are sent. A value of 1 means that 1 frame is ignored, 2 means that 2 frames are ignored between each acquired frame and so on. If you are streaming multiple cameras on a network with high load, this can be used to decrease the load on the network and create a smoother workflow. Is it possible to make my camera remember my GenICam parameters so that I don't have to set them after every reboot? Yes! This is possible and very easily achievable. It can be done with any software using the eBUS SDK and supports this feature. The image below are from the FLIR software GEV Demo, which is available for download here. 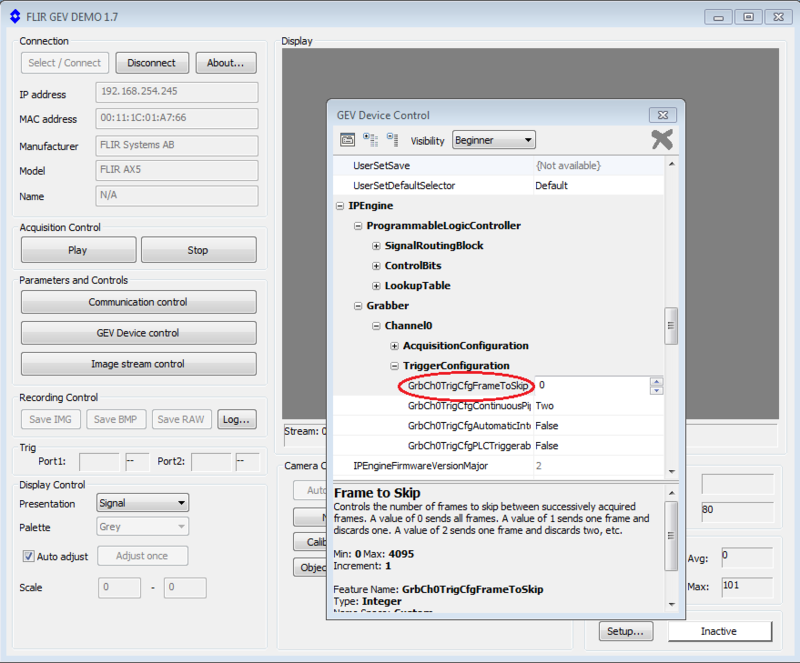 The command for saving all the current settings to the camera is found under GEV Device Control/Camera Control. The command is SensorSetDefaults. This command will make all the GenICam parameters persistent and the camera will remember this between startups, which can be very useful. Currently only valid for A15, A35 and A65 cameras. Why does my image look strange when I view it in FLIR Tools? As the signal is already a temperature, the calculations result in a corrupt image. The solution is to set the camera to signal mode instead of temperature linear mode: change the GenICam register TemperatureLinearMode to Off. For more information about about the temperature linear mode, refer to the Ax5 ICD document. Is it possible to increase the contrast of the image when I view the 14-bit stream from my FLIR Ax5 camera in eBUS Player? When viewing a scene with a low-temperature span, the image from the 14-bit signal can sometimes be difficult to interpret because of the low contrast. This is caused by the fact that while the image is using the full range of the detector (14 bits), the important information is contained in only a very small portion of this range. With eBUS SDK version 4.1.4 (available at Pleoras), histogram equalization of the stream being viewed can be performed. 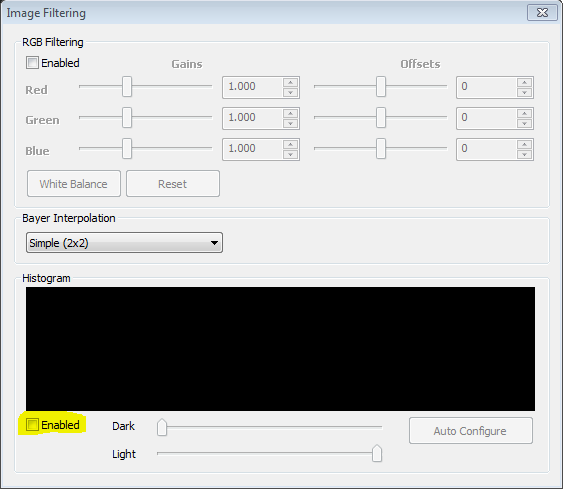 To activate histogram equalization, press Tools, Image Filtering… and then select the Enable box. This will make the histogram visible and allow you to draw Dark and Light markers at the desired positions or to use Auto Configure. In this histogram, it is obvious that only a small portion of the detector’s full 14-bit span is utilized, i.e., the contrast is very low. By using histogram equalization, it is possible to vastly increase the contrast. It is also possible to increase the contrast by viewing the 8-bit stream instead of the 14-bit stream. This can be achieved by changing the GenICam register PixelFormat to 8 bits. This is an alternative way of increasing the contrast if you are using an old version of the eBUS SDK and don’t want to update to version 4.1.4. The FLIR Ax5 NUC can be set in either automatic or manual mode. Manual mode: To set the NUC to manual mode, change the GenICam register NUCMode to Manual (enum 0). To perform an NUC, the GenICam register NucAction must be called. NUCTempDelta. If the internal camera temperature has changed with the value specified since the last NUC action, an NUC will be performed. NUCIntervalFrames. If the number of frames since the last NUC action is equal to the value specified, an NUC will be performed. To change the specified values, the GenICam registers NUCTempDeltaW and NUCIntervalFramesW can be modified. What does high- and low-gain mode mean on my FLIR Ax5? High-gain mode: This is the measurement range for lower temperatures. Low-gain mode: This is the measurement range for higher temperatures. The GenICam register that controls the gain mode is called SensorGainMode: for information about it, consult the Ax5 GenICam ICD. Note that some cameras have only one measurement range, and thus only one gain mode is available. This guide will show how to set a static IP address through the camera's GenICam register without using FLIR IP Config. Download either FLIR GEV Demo or FLIR IR Camera Player and install them according to instructions. Open FLIR IP Config, there you’ll see your camera with an IP address that is not the desired one, see Figure 1. Now open either FLIR GEV Demo or FLIR IR Camera Player and connect to your camera. This instruction will use FLIR GEV Demo. Choose Select/Connect and then select your device, see Figure 2. Do the corresponding action if FLIR IR Camera Player is used. Under Parameters and Control, select GEV Device Control. The corresponding action in FLIR IR Camera Player is to select Options – GenICam Browser. This will open the GenICam register, see Figure 3. 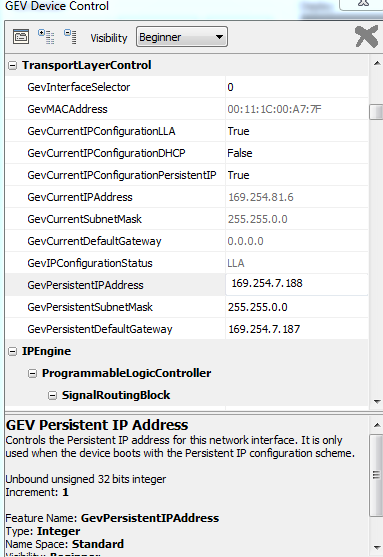 Go down to TransportLayerControl and set GEVCurrentIPConfigurationLLA True (should not be able to set it as False), GevCurrentIPConfigurationDHCP False and GevCurrentIPConfigurationPersistentIP True. Further down, set GevPersistentIPAddress to your desired static IP address and do the same to GevPersistentSubnetMask and GevPersistentDefaultGateway, please see Figure 4. These are the values you beforehand set through FLIR IP Config. Unplug the power from the camera, wait a couple of seconds and plug the power in again. 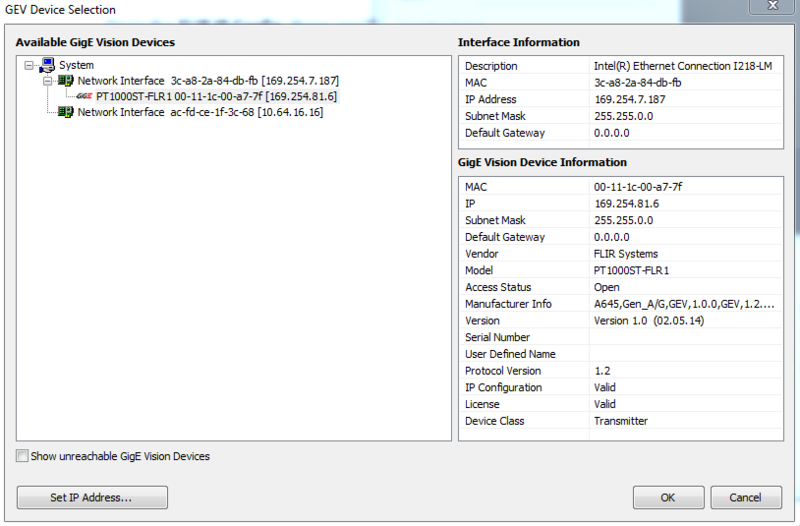 In Figure 5, it can be seen that the new static IP-address is displayed for the camera, when right-clicking and selecting Modify it can also be seen that the selected Subnet and Gateway are also the ones set in the GenICam register. To verify the persistence, open FLIR GEV Demo or FLIR IR Camera Player and access the GenICam register. 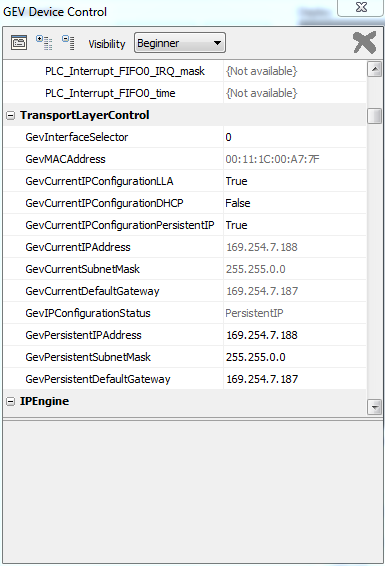 Go down to TransportLayerControl, there it can be seen that the set IP-address, subnet and gateway are the chosen ones. Furthermore, GevIPConfigurationStatus is now set to PersistentIP, see Figure 6.